Here are the five finalists for the Premio Gregor von Rezzori: Katie Kitamura for Una separazione (Bollati Boringhieri); Andrei Makine for Arcipelago di una vita (La Nave di Teseo); Lawrence Osborne for Cacciatori del buio (Adelphi); Lincoln nel Bardo by George Saunders (Feltrinelli); David Szalay for Tutto quello che è un uomo (Adelphi). The winner of the Premio Gregor von Rezzori for foreign fiction will be announced at a cerimonia di premiazione which will take place Saturday the 4th of May. The winner for translation is Claudio Groff, a career award for the translation of Rilke, Kafka, Bernhard, Schulze, Handke and Grass. During the Festival the Gregor von Rezzori Young Readers Award will also be presented, celebrating the 5 best reviews of finalist books by high school students. Among the new additions the year: the artistic direction of Andrea Bajani, a member of our jury as well as an author brought to attention of readers by his novel Se consideri le colpe (Einaudi, 2007), and winner of the Bagutta Prize for Ogni promessa (Einaudi, 2010). His most recent novel is Un bene al mondo (Einaudi, 2016). The Santa Maddalena Foundation also announces the arrival in Florence of the Canadian writer Margaret Atwood. Environmental activist and founder of the Writers' Trust of Canada, a nonprofit organization to encourage writing; a feminist and science-fiction lover, among her most important books we remember The Penelopiad. The jury for the prize for foreign fiction consists of Beatrice Monti della Corte, Ernesto Ferrero, Andrea Bajani, Paolo Giordano, Alberto Manguel and Edmund White. The jury for the translation prize: Bruno Ventavoli (president), Ilide Carmignani and Susanna Basso. Born from the experience of the Santa Maddalena Foundation - presided over by Beatrice Monti della Corte, wife of Gregor von Rezzori, the Festival degli Scrittoriis promoted and supported by the City of Florence in the context of the activities of the Gabinetto G.P. Vieusseux and is realized with the contribution of the Fondazione Cassa di Risparmio di Firenze. It makes use of the collaboration of the Centro per il libro e la lettura del MiBACT, of the Paul Thorel Foundation, of NYU, of Giunti Editore and of Repubblica Firenze as a media partner. The 2017 Festival degli Scrittori began on the stage of the Odeon Theater with Valeria Bruni Tedeschi, Zadie Smith and Luigi Lo Cascio who told the long history of migrants over the centuries. Joining them was Juan Gabriel Vasquez and poet and writer-director Atiq Rahimi, winner of the Prix Goncourt. Great international literature returned to Florence with the five finalists of the Premio Gregor von Rezzori: Lázlo Krasznarhorkai and his visionary style, an almost physical experience of literature; Edouard Louis and the scandal of stories that are an act of accusation against propriety; Mathias Enard's Orient, a mirage in extremity, the origin of everything; Clemens Meyer's East Germany Post 1989, where boys collect the rubble of a fallen world; and the cultured and stubborn Mexico of Valeria Luiselli, literature as essential as the body we live in. The Grand Prize was accompanied by the Gregor von Rezzori Young Readers Award. One hundred high school students in Florence reviewed the finalists' books and the best reviews were awarded. Also the young writers of Porto delle Storie were be the focus of our opening afternoon with Paolo Giordano. The Premio Gregor von Rezzori – Città di Firenze was founded in 2007 in honour of the Central European novelist. Initially held in the monastery of Vallombrosa, it moved to Florence in 2010 and expanded to become a literary festival including readings, interviews and theatrical events. Two prizes are awarded. The first is given to the best work of foreign fiction published in Italy within the last year, and aims to provide an international forum for writers and the Italian public to meet and discuss literature and the world of ideas. In 2017, this was awarded to Matthias Énard for his book Bussola, by a jury comprised of Ernesto Ferrero, the jury’s president, Beatrice von Rezzori, President of the Santa Maddalena Foundation, Andrea Bajani, Alberto Manguel, Edmund White and Paolo Giordano. The Festival also seeks to confront literary parochialism by introducing Italians and others to exciting contemporary fiction appearing in other languages. To that end, a second prize is awarded to the best translation into Italian that year. 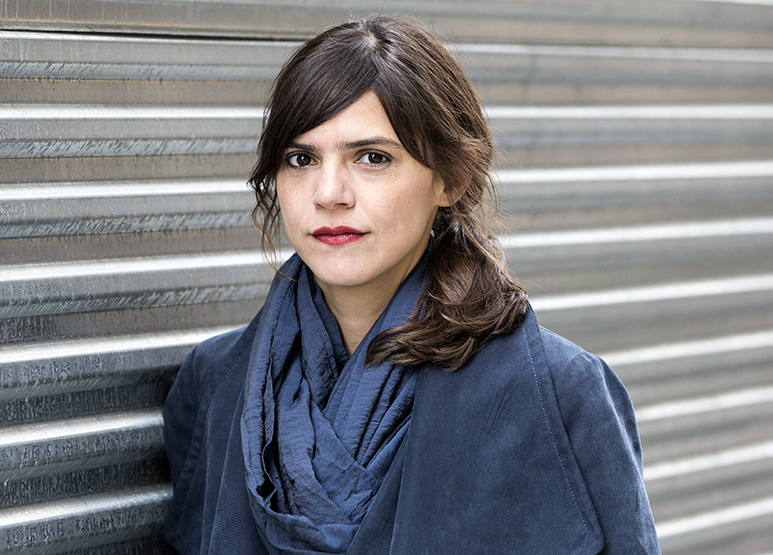 This year the prize will be awarded to Claudio Groff, a career award for the translation of Rilke, Kafka, Bernhard, Schulze, Handke and Grass Anna D'Elia, for her translation of Terminus Radioso by Antoine Volodine. Each year the festival also includes a lectio magistralis. These have so far been given by Claudio Magris, John Banville, Carlos Fuentes, Michael Cunningham, Zadie Smith, Michael Ondaatje, Patrick McGrath, Emmanuel Carrère, Jhumpa Lahiri, and Dany LaFerrière; this year it will be given by Margaret Atwood. The twelfth edition of the Festival degli Scrittori will take place between 3rd and 5th of May 2018.